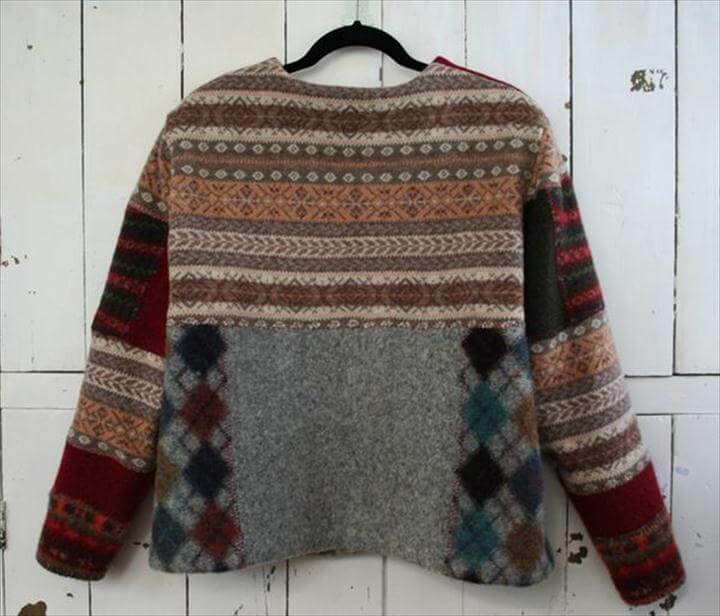 You may wonder what creativity you can do with your old sweaters; here is the answer to this question. 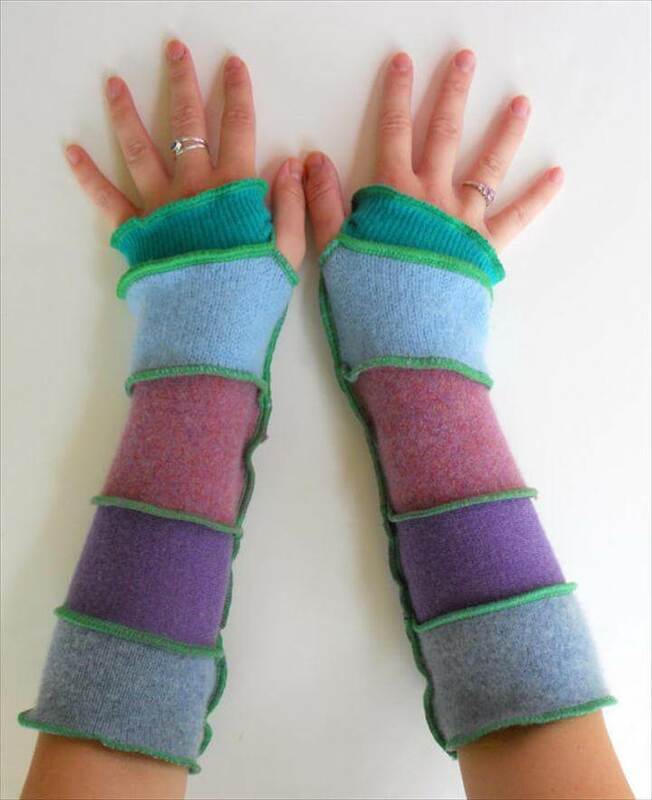 This article will bring you 20 DIY Sweater Crafts Things To Make different creative stuff out of your old sweaters in no time and less expense. 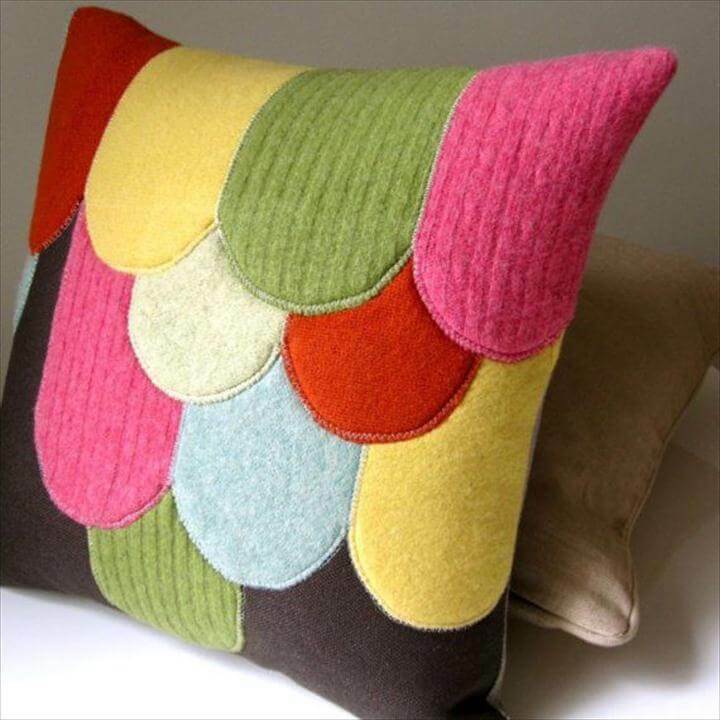 The first project that we will share with you is a diy funny sweater pillow that looks absolutely loveable for your informal couches. 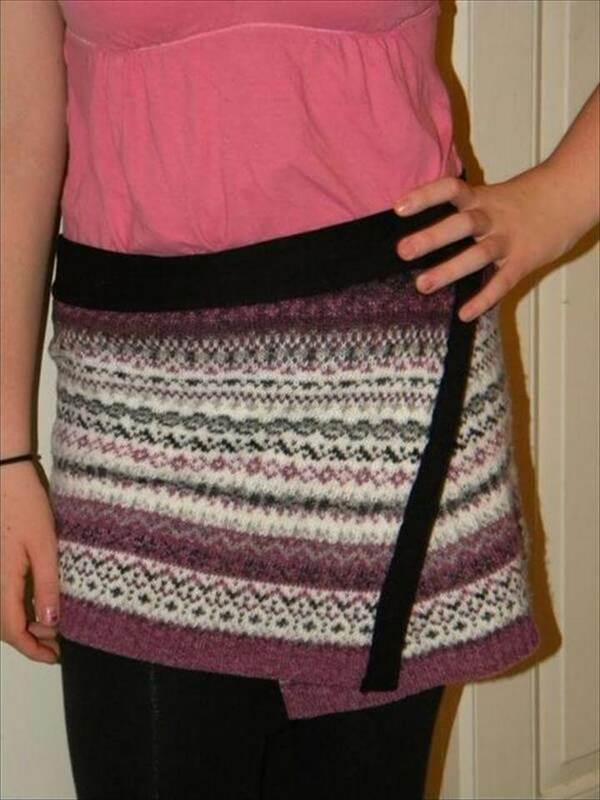 Have a look at this next project which is a diy mini skirt made out of a sweater and looks stylish and unique. 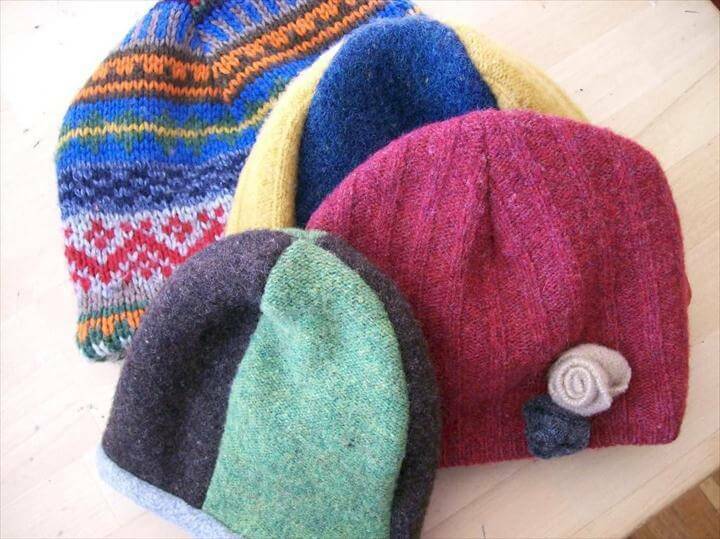 Also you can make some mazing woolen hats with your old sweaters using some easy and stylish knitting patterns. 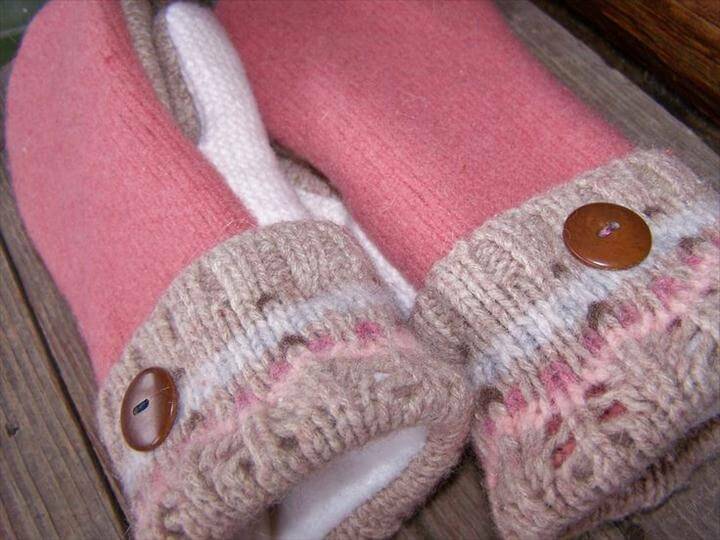 Next we an idea to make a pair of up cycled slippers out of a sweater and this turned out to be a perfect idea as you can see in the tutorial and follow the project step by step. 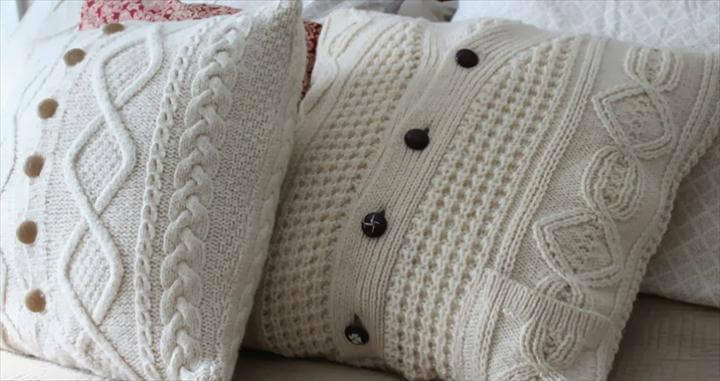 Besides this you can also create a garland with a sweater for the upcoming fall season and add a sparkling look to your house. 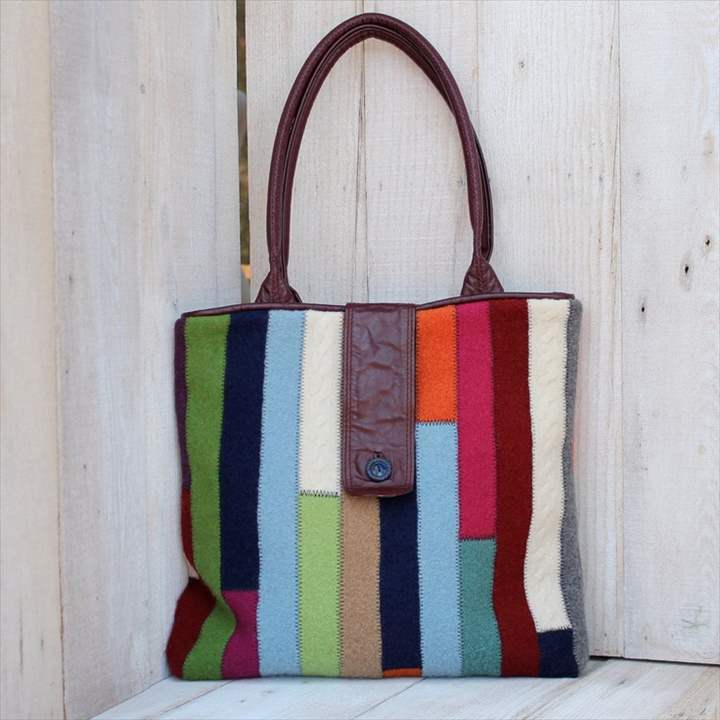 The next project that we have is a patchwork tote with a combination of scrap leather being used as the handles of the tote bag and the end result is worth all the efforts that you will make for it. 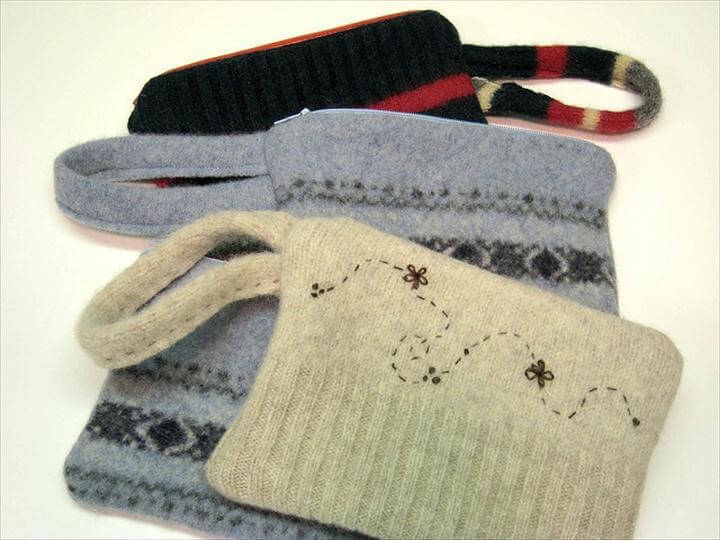 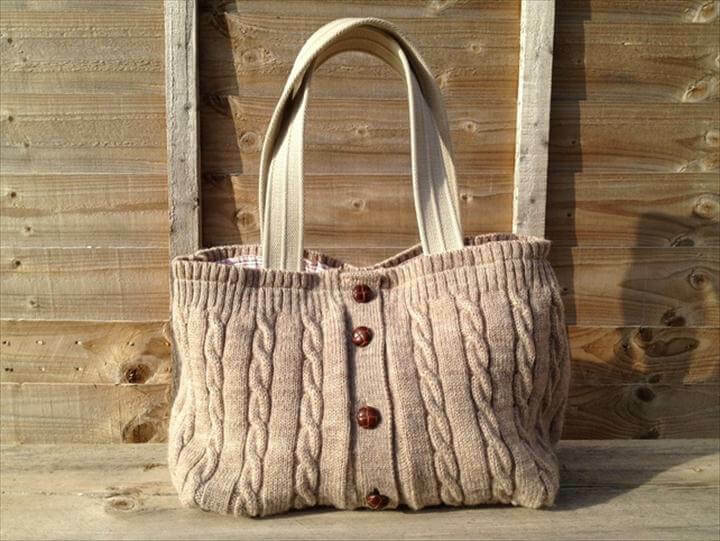 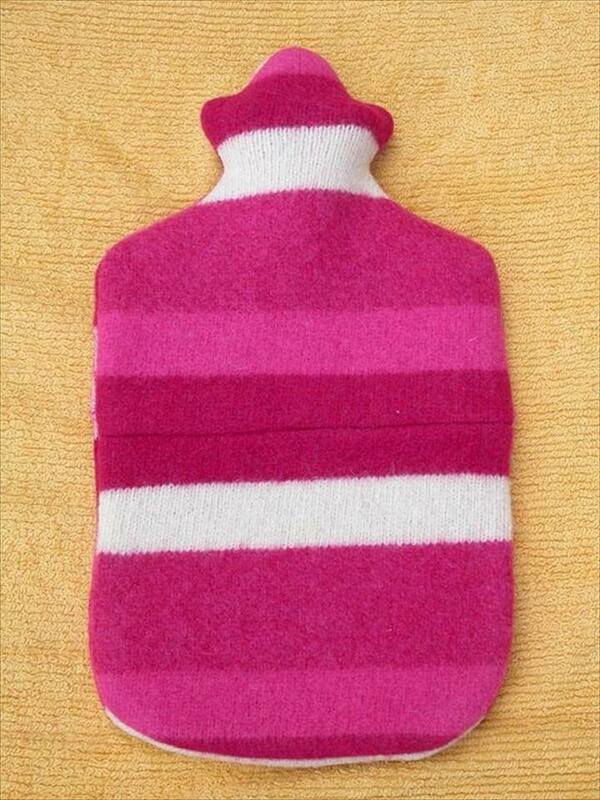 You can also make a bag out of sweater which can be carried perfectly and is very easy to make. 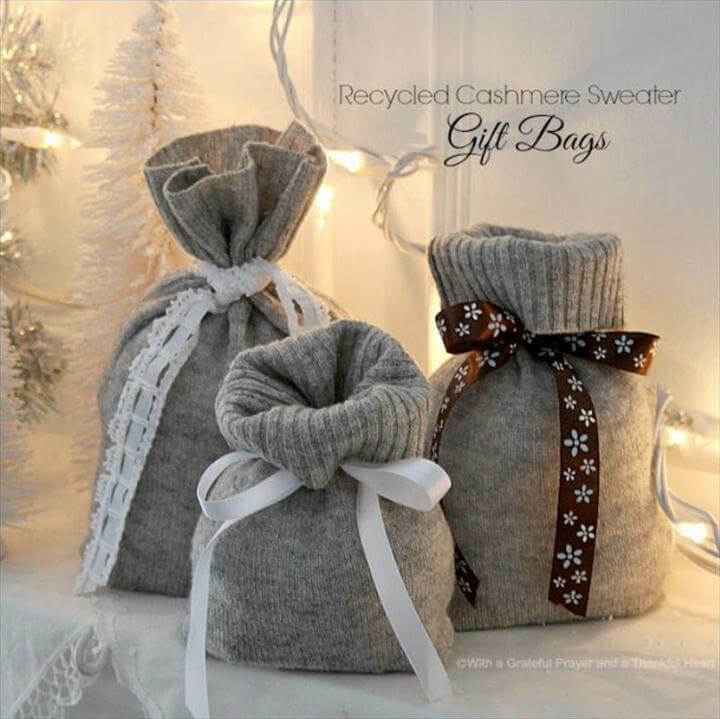 You will definitely want to share all these ideas with your friends and family and amaze them with these creative hacks that you can do with the sweaters. 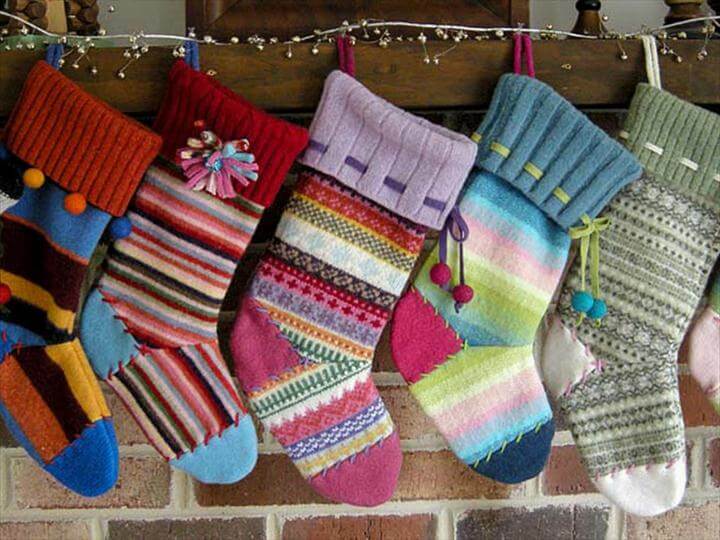 Don’t waste the next holidays and try these exciting ideas that you can easily do. 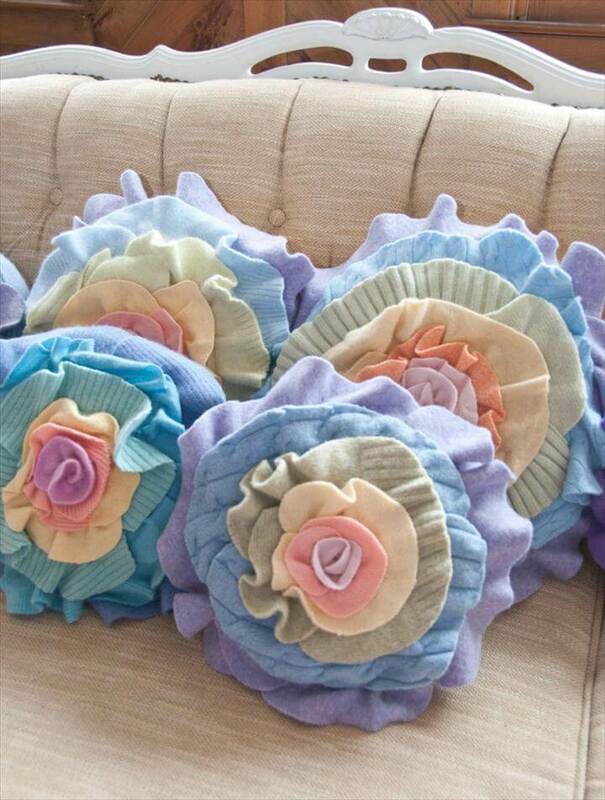 Follow the instructions given in the tutorials so that you don’t miss out the minor details of the project.